A retired military chief has issued a grim warning: Britain’s “broken” army is 20 years out of date, its military is falling behind other comparative nations, and the threat of rogue players such as North Korea looms – and all the while, the UK government continues to slash the defense budget. Gen. Sir Richard Barrons, former Commander of the Joint Forces Command, took the government to task as he gave evidence to the Commons Defence Committee (CDC) on Tuesday in London as a part of a government review of national security capabilities. 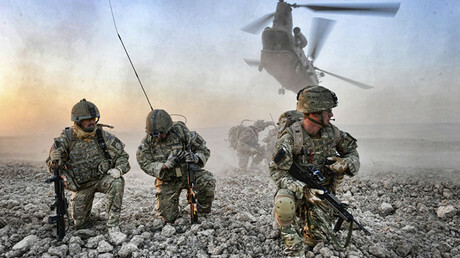 “All three armed forces are falling behind the rate of innovation you see in our peers,” he told the committee. “The people who are in defense, they have to keep going every day so they are never going to say publicly, or to themselves, or to their enemies, or to their allies, that we’re broken. During the evidence session, Barrons warned there are multiple “existential threats to our country,” saying that Britain needed to be prepared for them. “We now live in an age where people who are not on our side have capability that they could – not saying they will, they could – inflict on the UK homeland at short notice, which we can’t deal with. “[These threats] come in the form of Daesh (Islamic State, IS, formerly ISIS/ISIL) who, if they could, would find weapons of mass destruction and apply them to the UK; thankfully, so far that has been comprehensively seen off,” Barrons said. With the Autumn Budget fast approaching, Barrons also took the chance to hit out at cuts to defense spending, stating that all three branches of the armed services are already stretched to the limit. “The first discussion should be in government: ‘How much risk are we running in the world and what do we need do to fix it?’ They don’t seem to want to have that discussion,” he said. 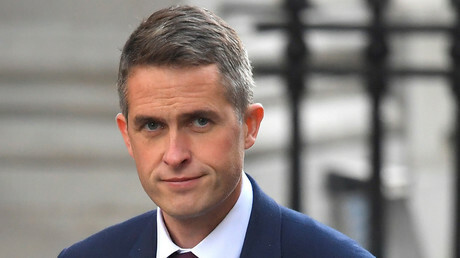 The warning comes only a fortnight after former chief whip Gavin Williamson took over the reins as defence secretary. Williamson recently hinted in an interview with the Sun that he could reverse rumored cuts to the marines and promised a review of military spending.